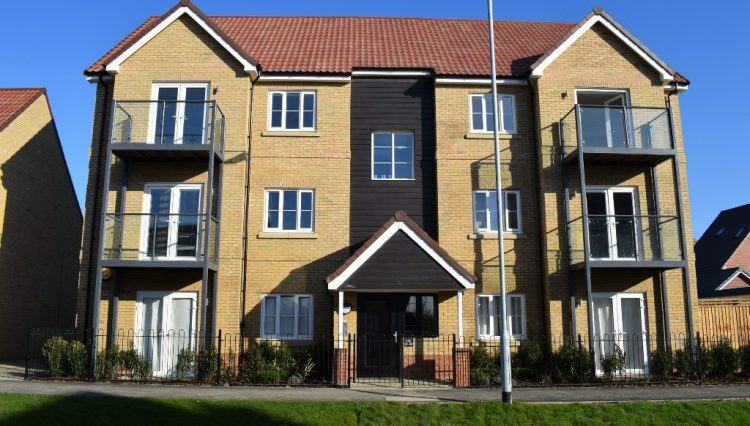 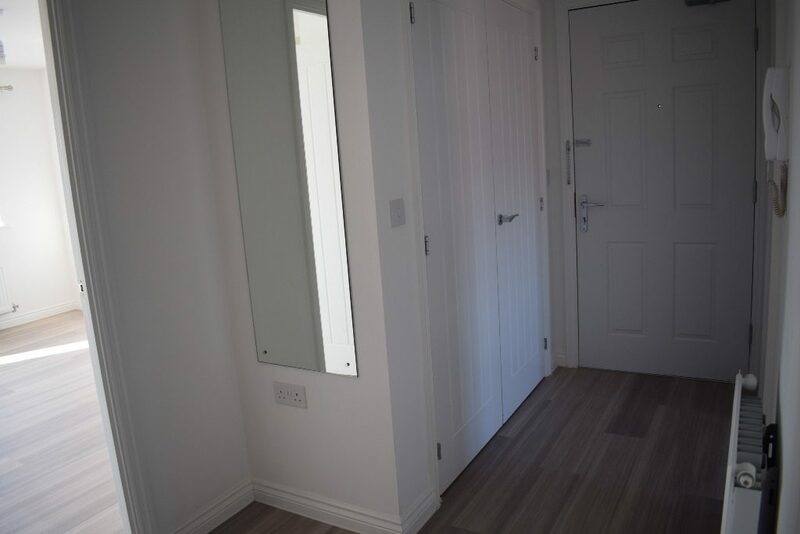 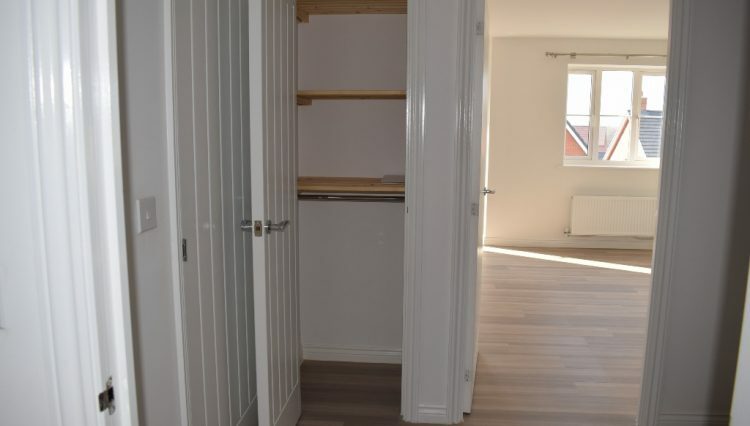 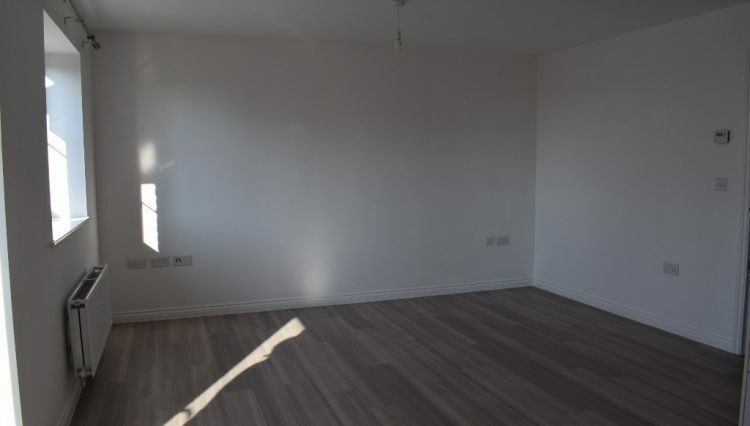 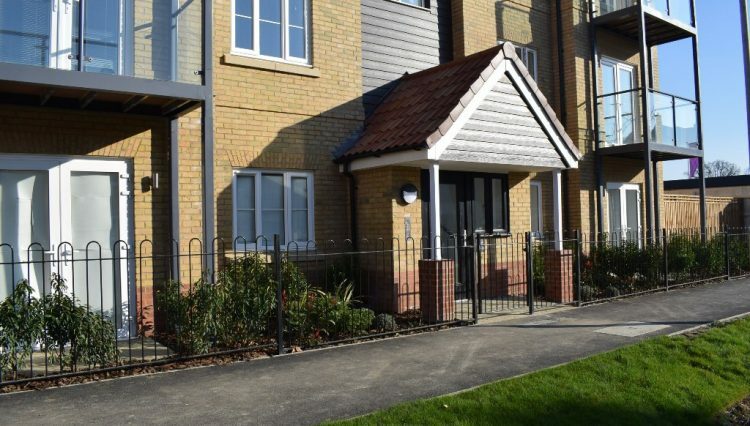 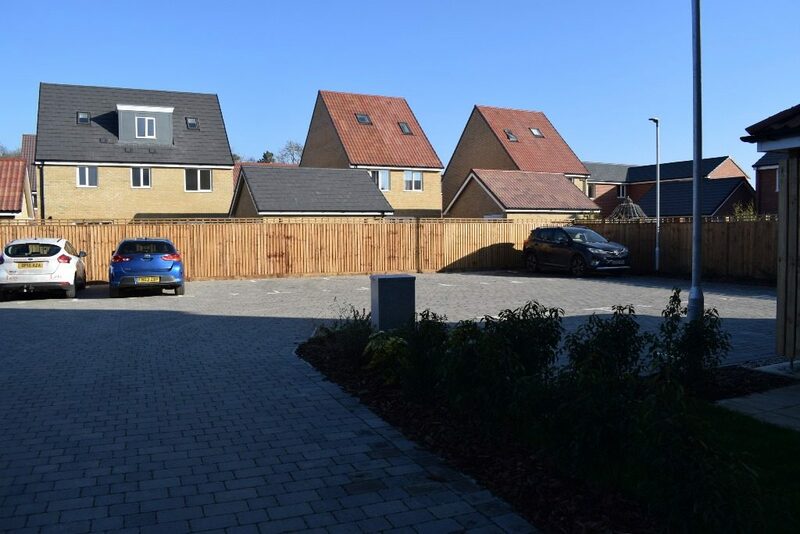 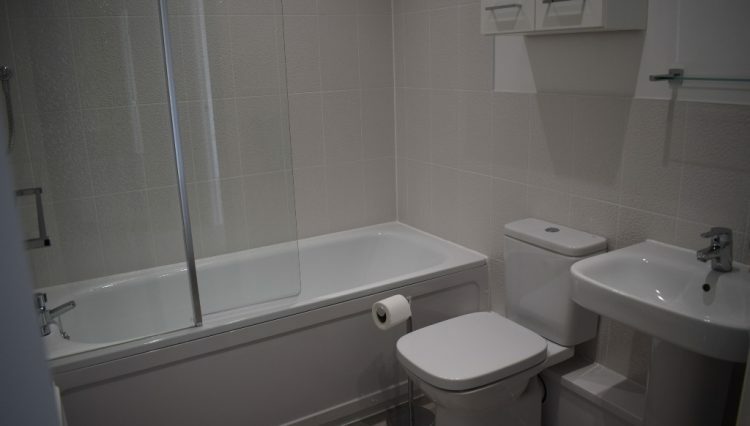 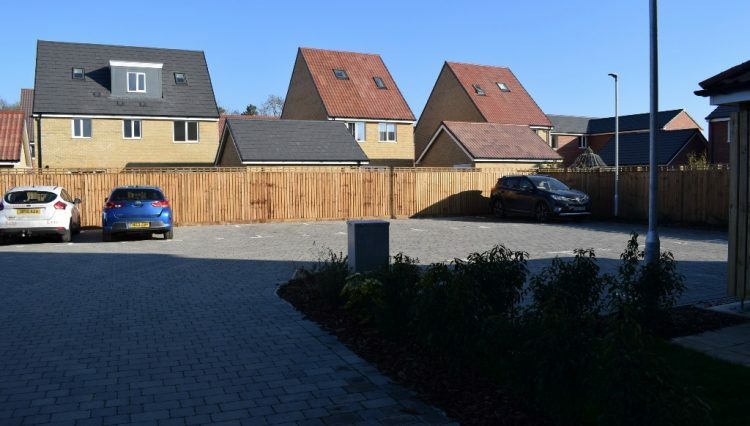 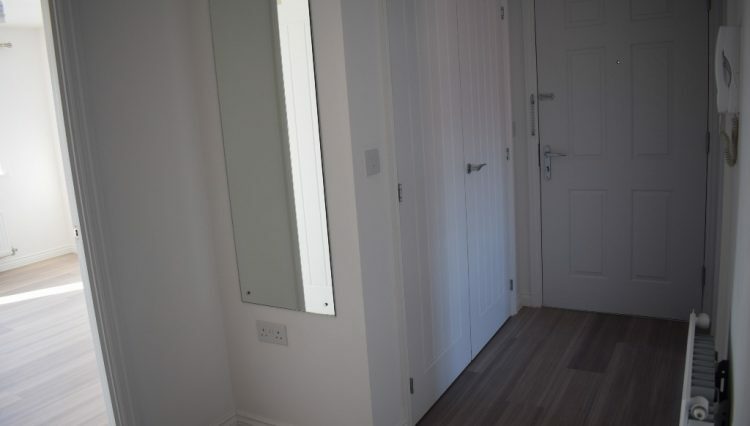 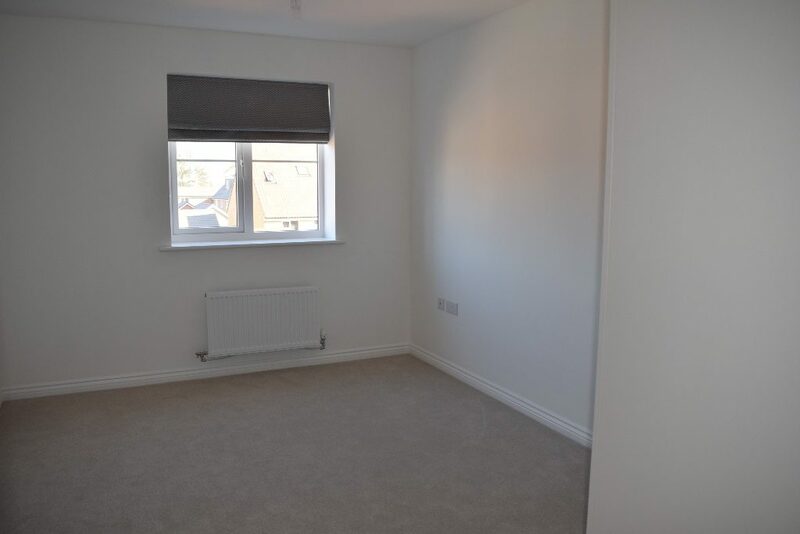 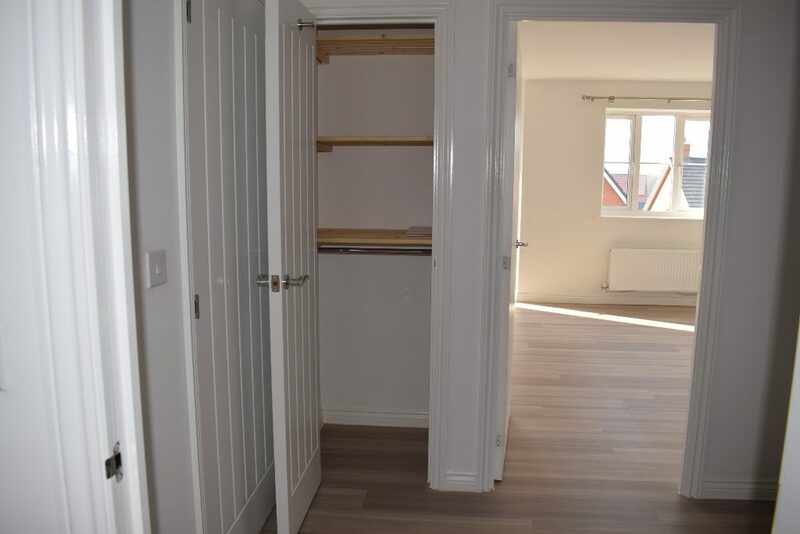 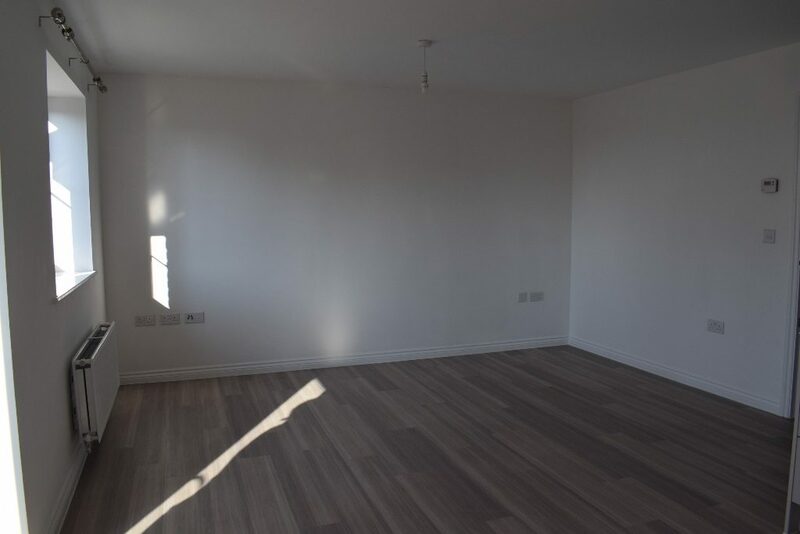 We are pleased to offer this two double bedroomed new build second floor flat. 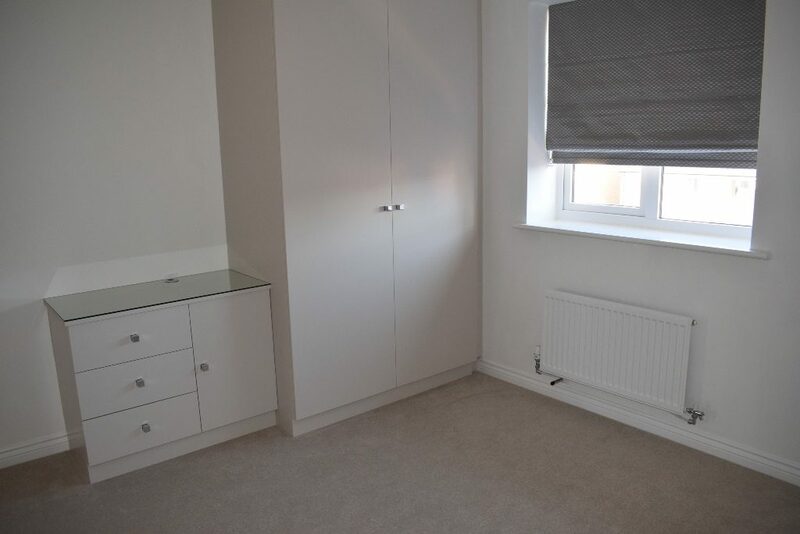 This property has many upgrades to the builders original specification. 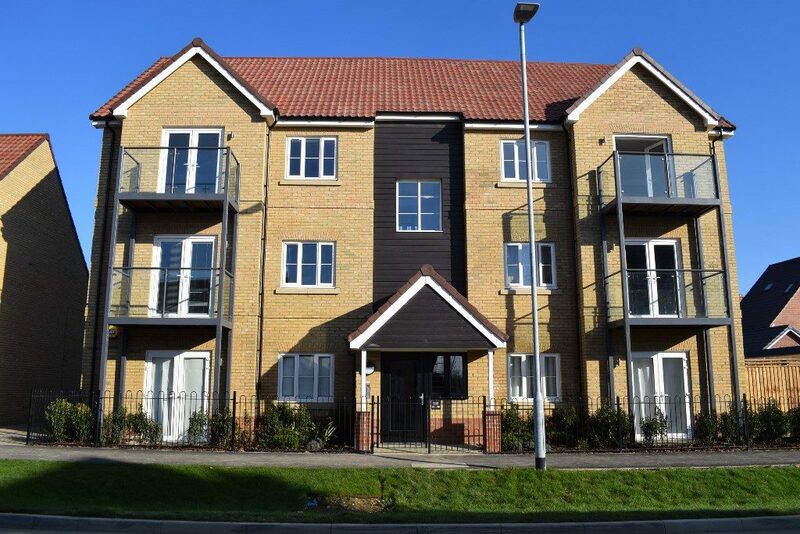 Stortford Fields is within easy walking distance of the Tesco supermarket and petrol station, as well as the Bishops Stortford BR station into Liverpool Street Station. 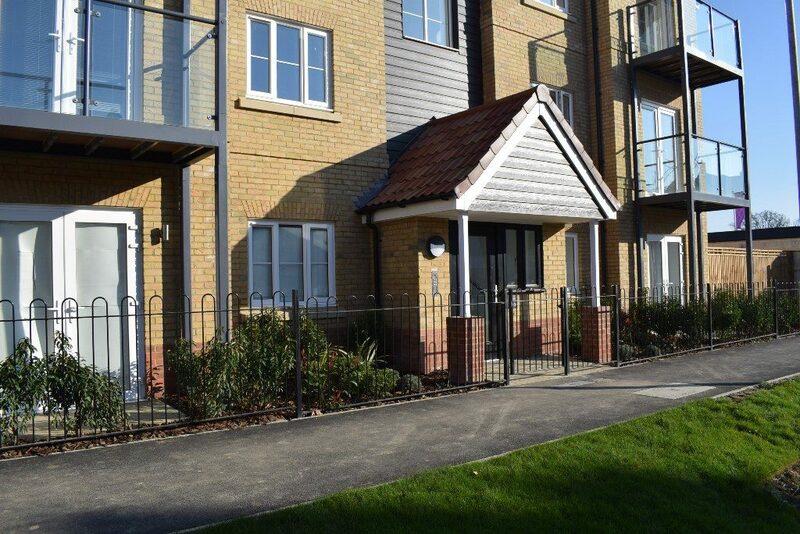 Bishops Stortford town centre has many eateries, pubs and shops and can also be walked to from Stortford Fields, as can the countryside walks close by. 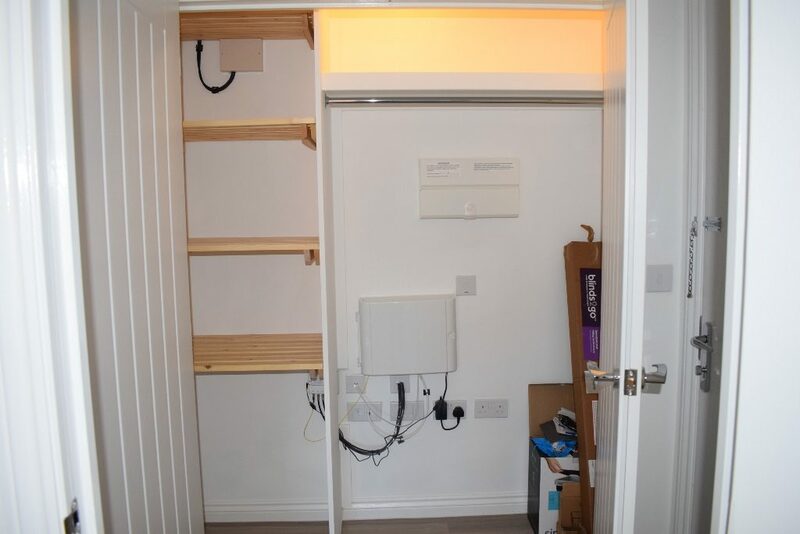 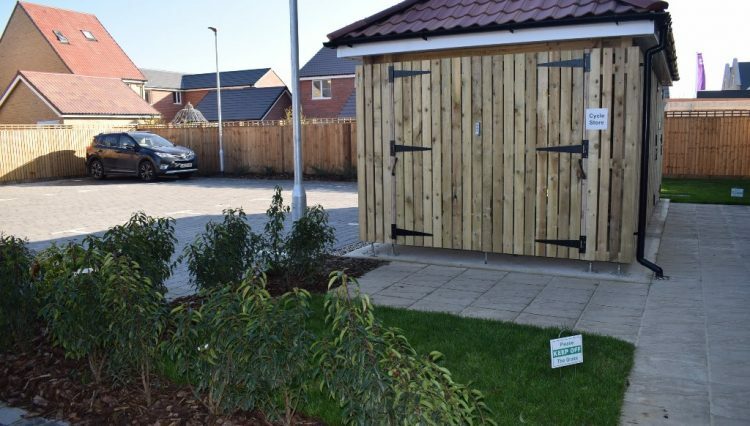 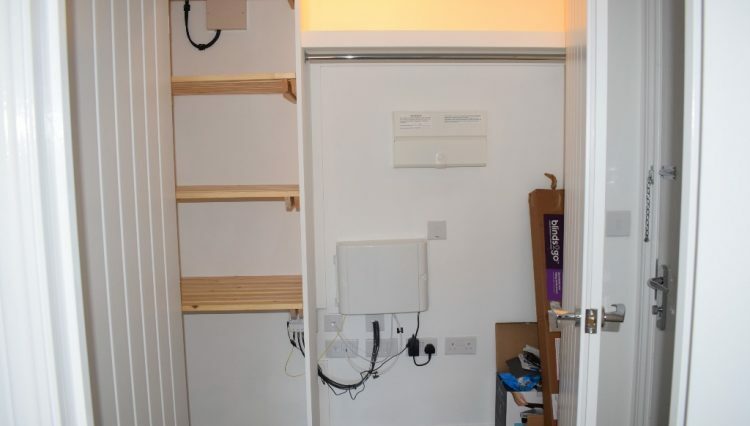 The flat has gas central heating, an entryphone system to the front and rear entry doors of the block, there are two allocated parking spaces as well as a communal bin store and undercover communal bicycle store in the communal garden of the block. 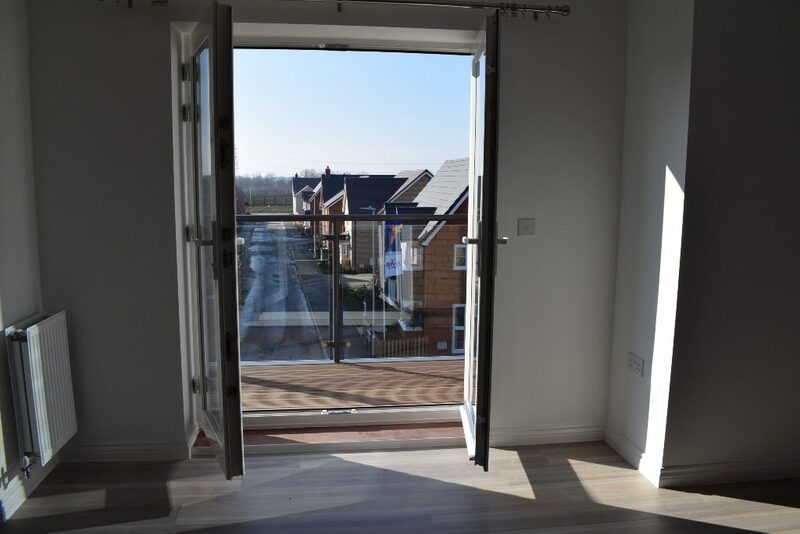 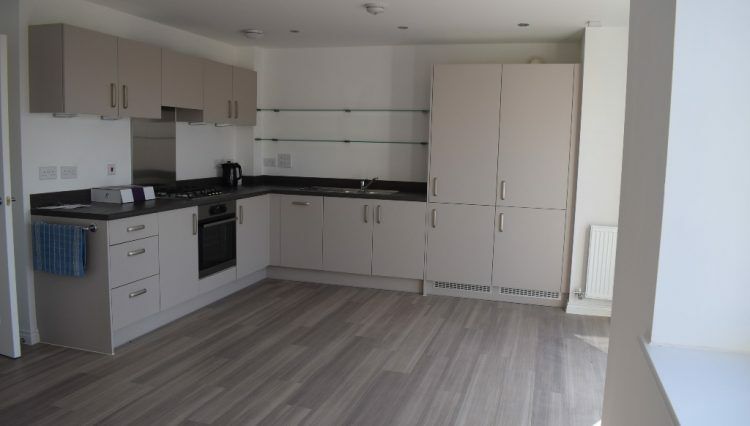 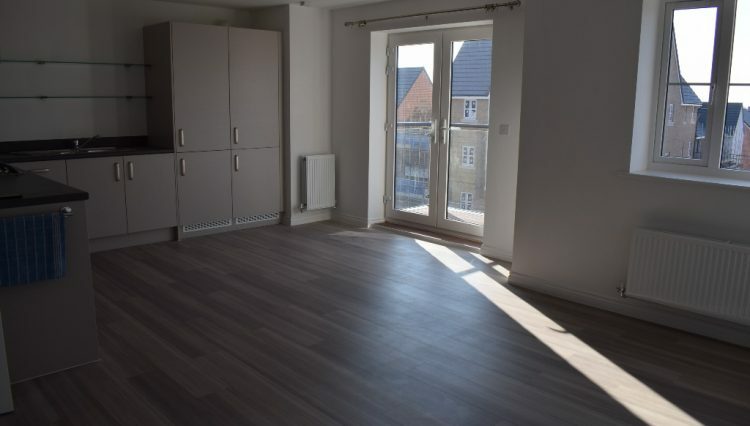 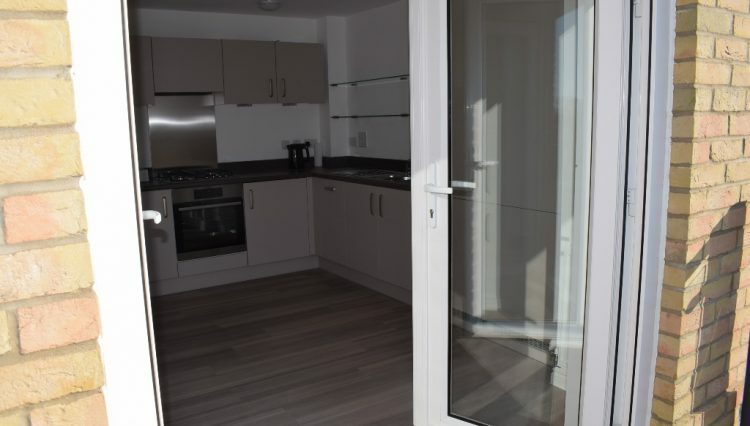 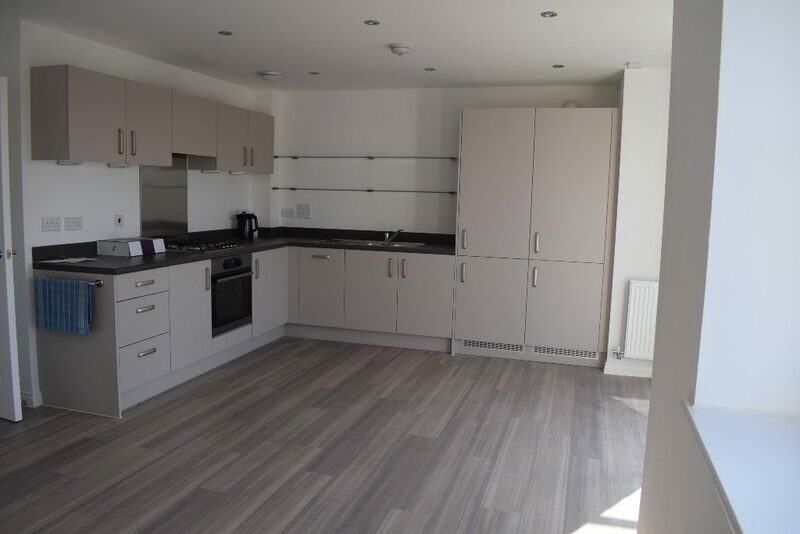 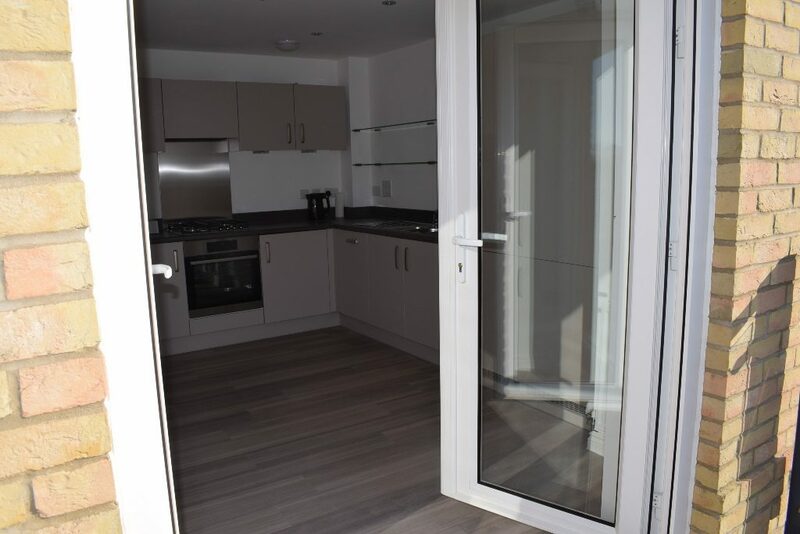 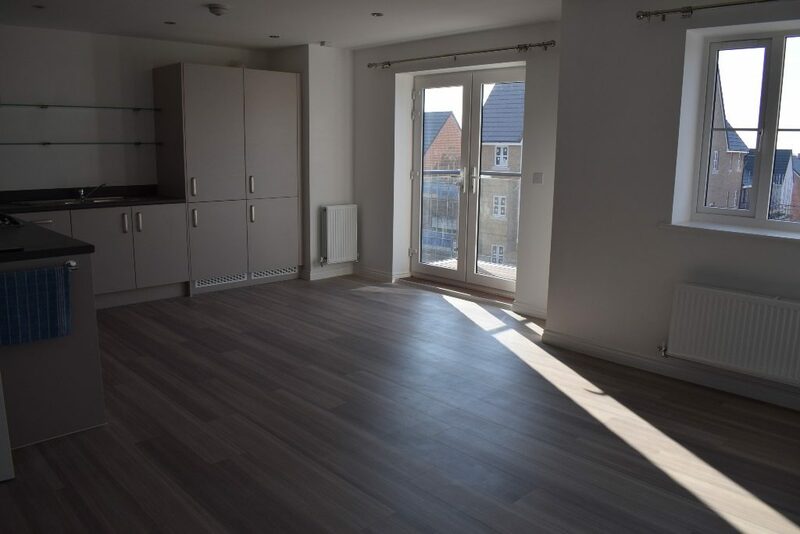 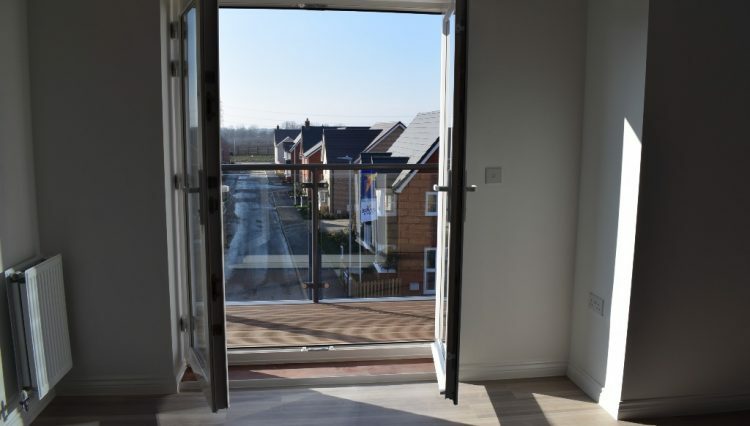 The kitchen of the flat is open plan to the lounge, has grey laminate flooring, fitted curtain poles to the window and french doors, giving access to the stainless steel and glass balustrade balcony to the front of the block. 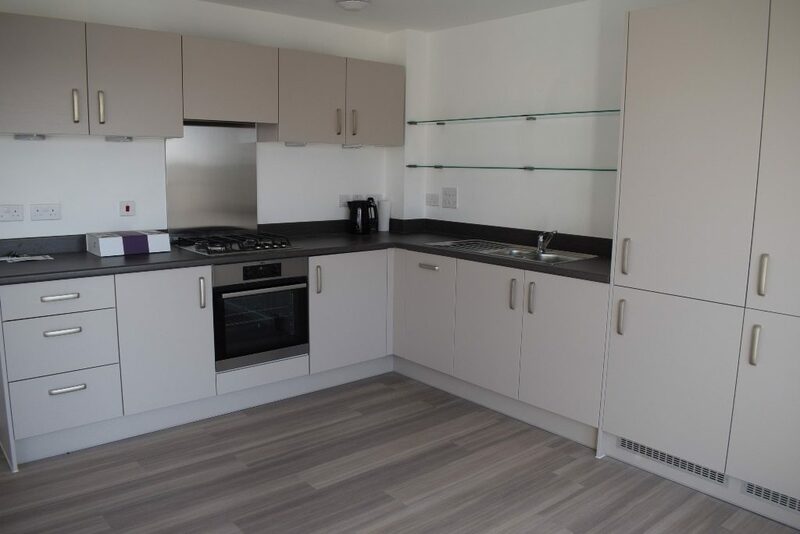 The kitchen is fitted with grey fitted units equipped with integral washer/dryer, fridge freezer and slimline dishwasher. 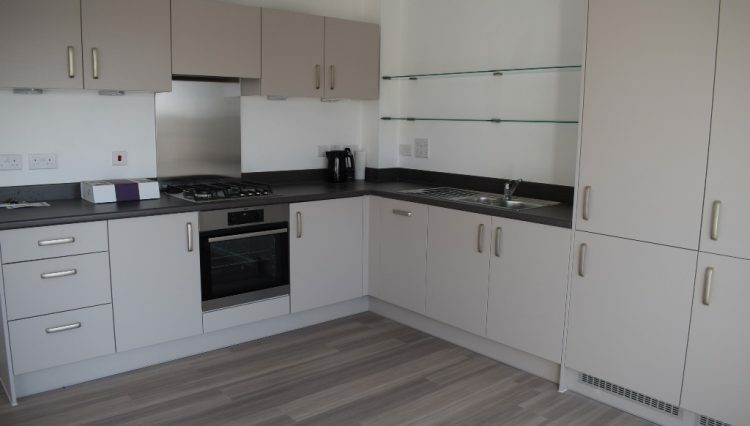 There is a gas hob and electric oven also. 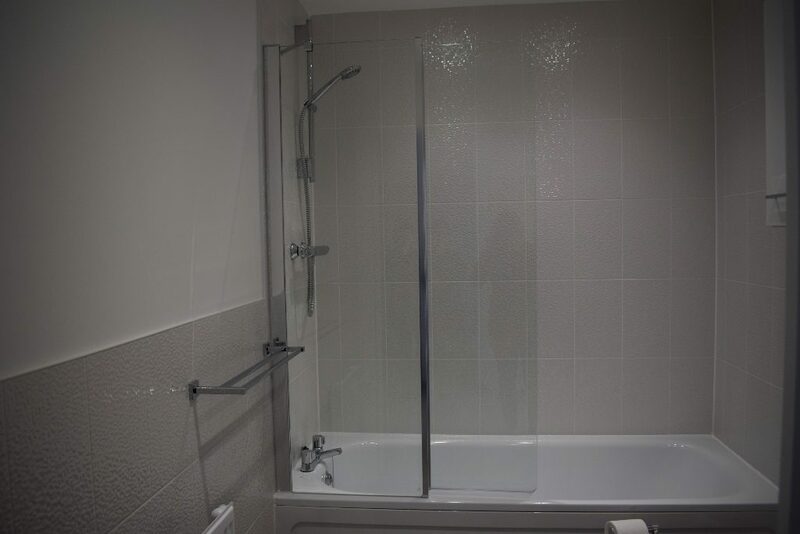 The main bathroom has a white suite with a bath with a shower over. 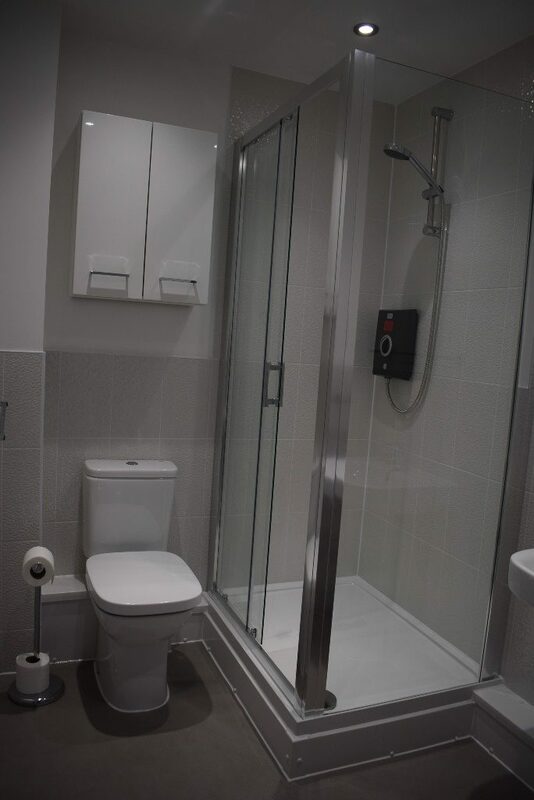 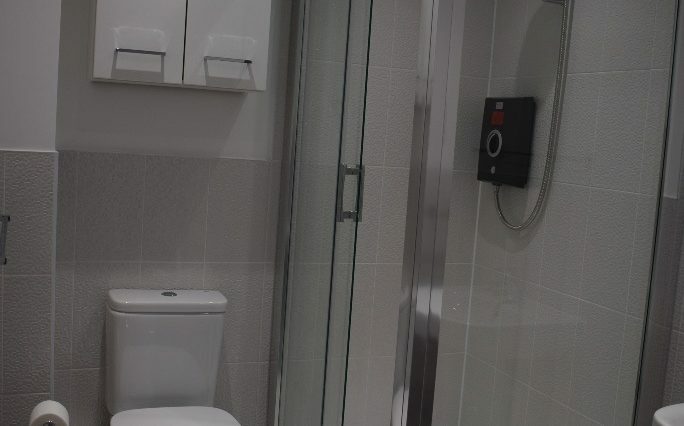 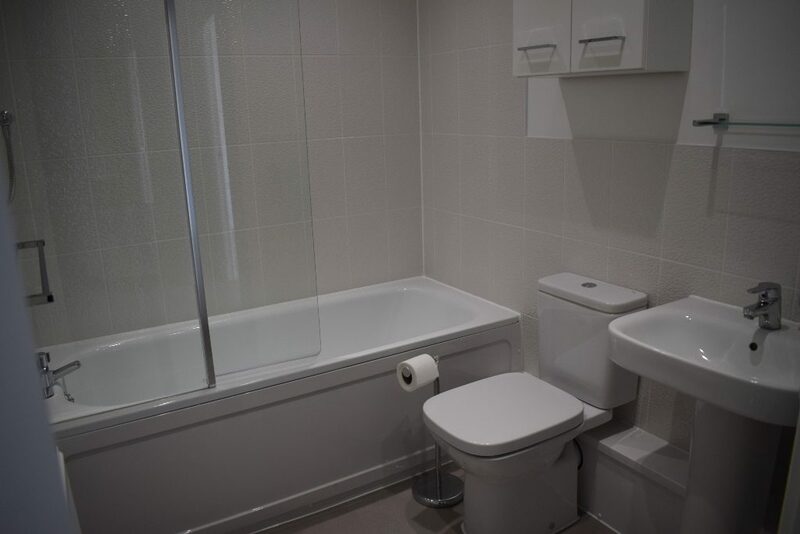 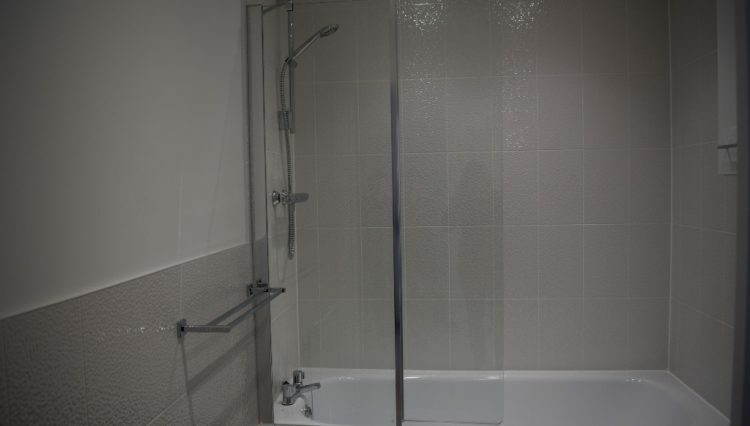 There is an en-suite shower room to the main bedroom. 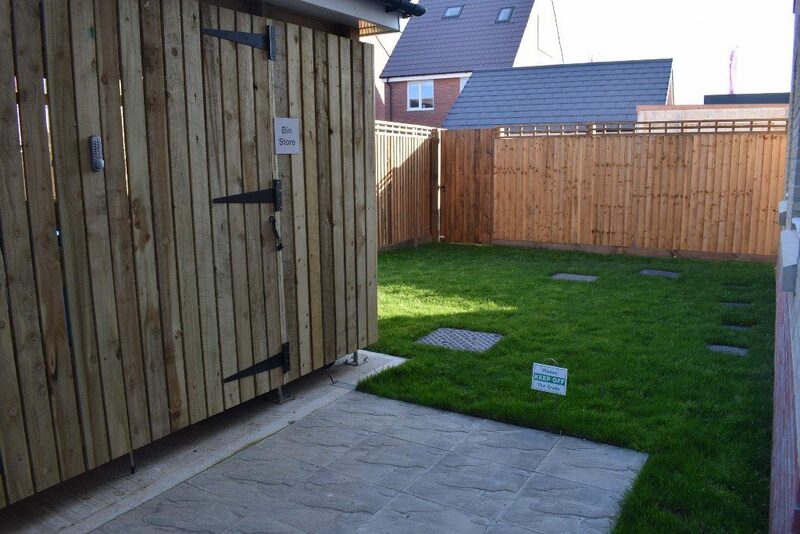 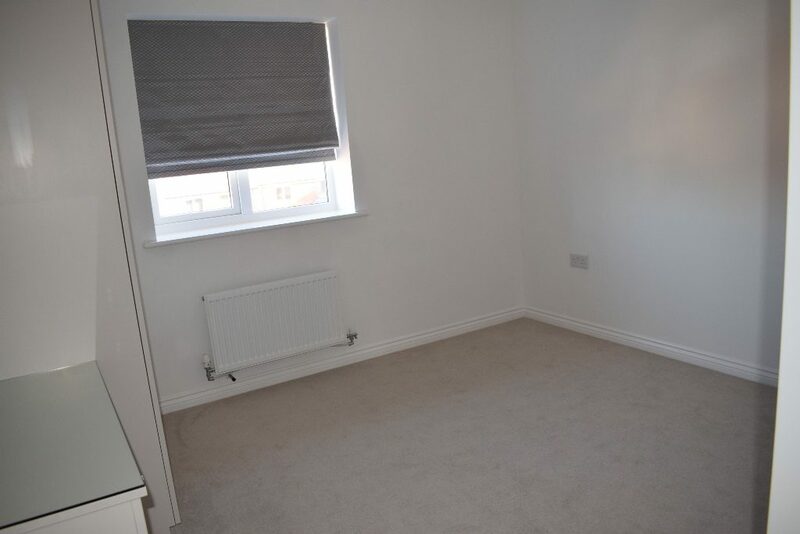 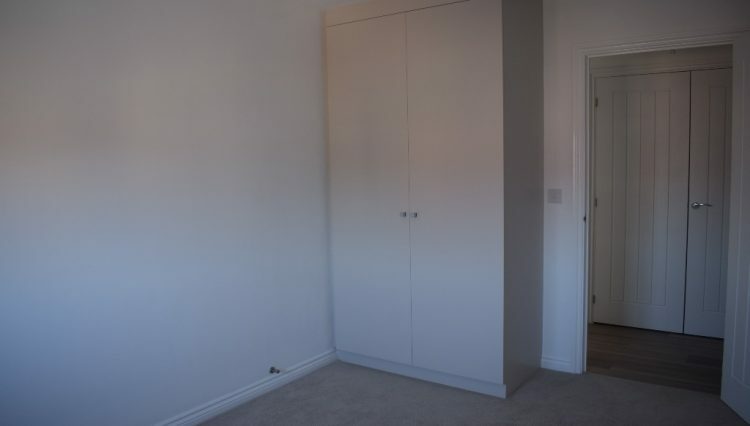 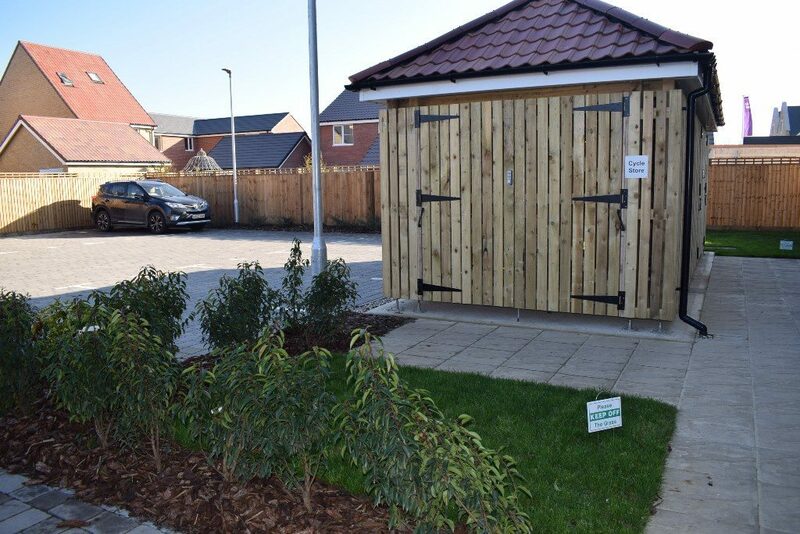 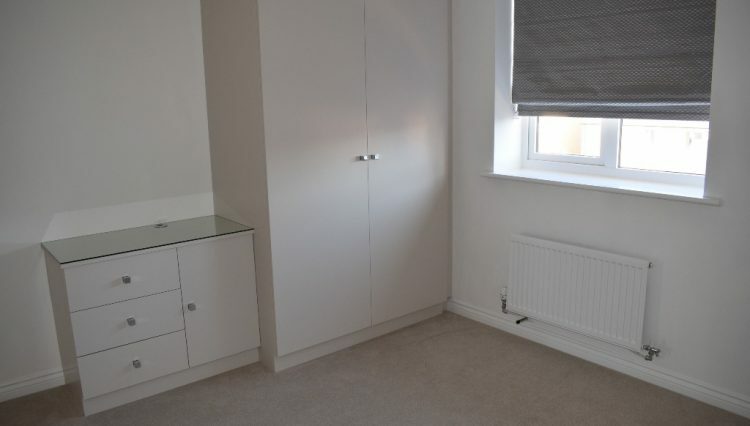 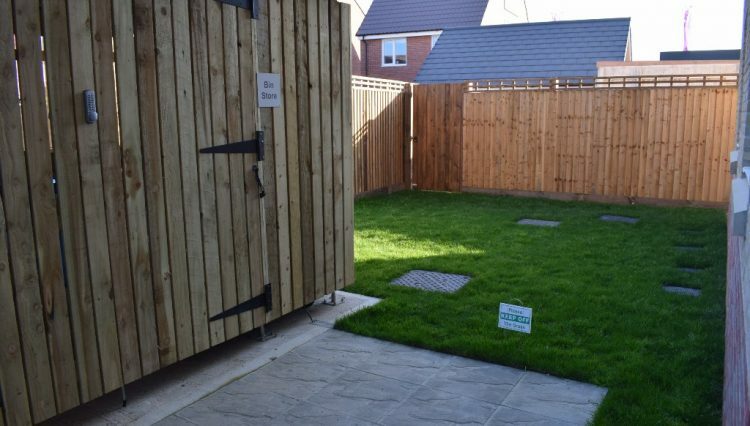 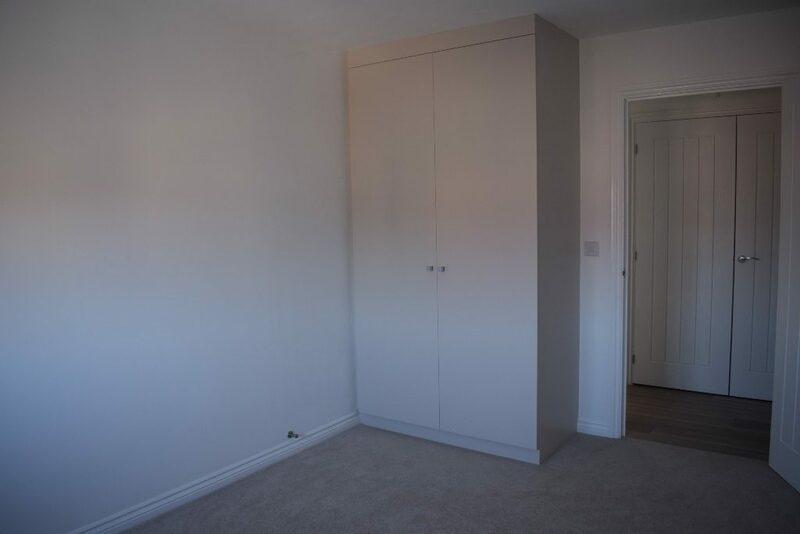 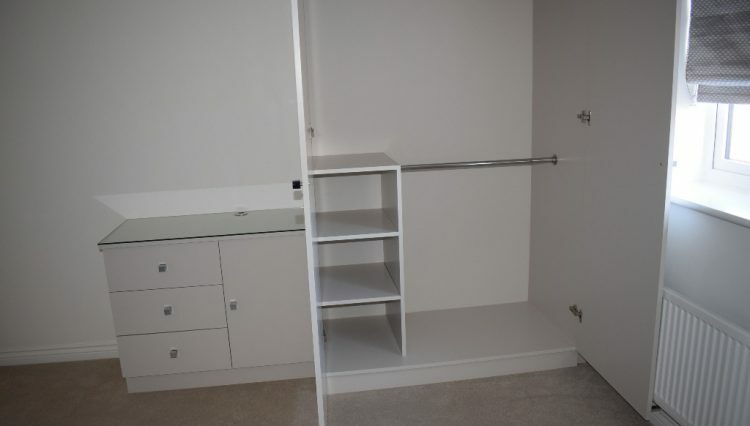 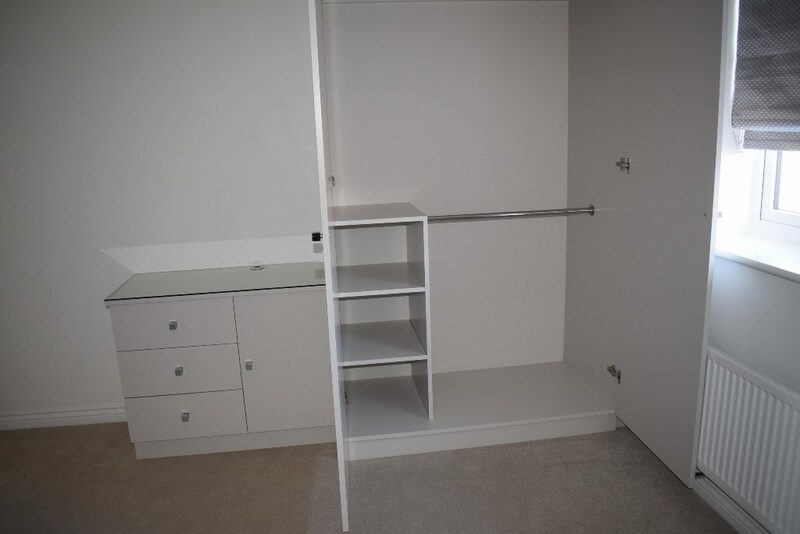 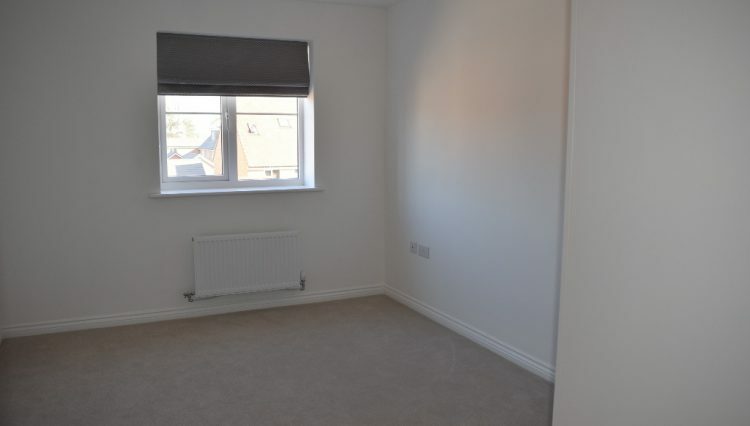 Both bedrooms are double sized and have fitted wardrobes and cream carpet. 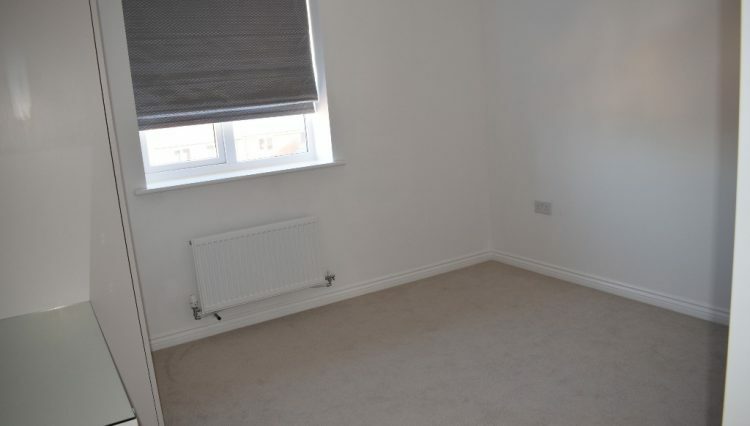 The Landlord does not accept pets or smokers, would prefer no children.